Fixed a common crash related into loading into a game. Fixed a server crash related to the in-game VOIP server. Fixed the too loud player footstep sound issue. Fixed / improved collision walls in the game. Players can no longer glitch through collision walls (invisible walls) anymore. Please keep in mind that glitching outside maps is ban-able. Fixed a glitch where players were still able to use clan skins on non in-clan characters. Updated the in-game radar. Removed the fading to improve performance and FPS. Improved the motel building (on Caliwood). Fixed an issue where players could "camera glitch" through the floor and see through. Also improved the stairs. Players can now walk smoothly on the stairs instead of jumping constantly. Fixed an animation issue related to the valentine wand. Updated the animations. Fixed an animation issue related to the AUG Melon skin. Reverted back the model change of the "Erckul's sub Wand". Reverted back the model change of the "Valentine Wand". Lowered the recoil of the G11 from 11 to 4. Fixed / Updated the GamerKrissy Heavy Armor model. Fixed / Updated the GamerKrissy Moto Helmet model. Fixed / Updated the MMFK Moto Helmet textures. Fixed / Updated the MMFK K. Style NVG textures. Fixed the AUG Melon animation issues. Added a new heavy armor skin called: "Heavy Armor Fallen Angel". Added a new K. Style NVG skin called: "K. Style NVG Fallen Angel". 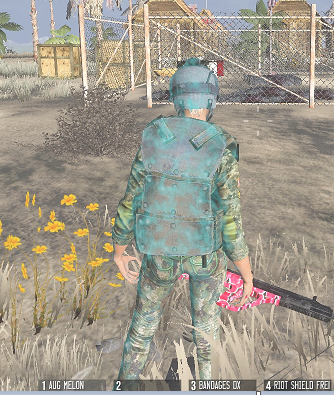 Added a new Moto Helmet skin called: "Moto Helmet Fallen Angel". Added a new heavy armor skin called: "Heavy Armor Fallen Angel Chrome". Fixed the problem in Emerald Peak where there was no zombie spawning. Fixed the misplaced rock at the VARO Base. Removed some player spawns due community feedback. Moved the trashcan away which were standing in front of the door at the restaurant. Optimized / improved player spawns. Based on feedback from players playing this map we have re-done certain spawns in the map. Most complaints about this map that some player spawns were too open for example in the middle of a forest. The biggest issue was that players had no cover and would die directly after their spawn protection ran out. We have moved all spawns that were in the open closer / around the cities so that players can always run into cover if they want to. Lowered the heights of some rocks around the plane crash site. Lowered the amount of trees around airdrop landing zones. Estimated patch size: 100 mb. THANKS! Wish the random FPS drops will be gone after this upcoming update. because after the big update from Oct-6 I experienced an noticeably FPS Drops to point that i cant play properly. big thumbs up to the developers! but why would u sub to erckul/gk now? nobody wants to start a new char just for skins ? Autumn Skinbox is now spawning guys! Fixed for this hotfix but not on the list. I'll add it right now! 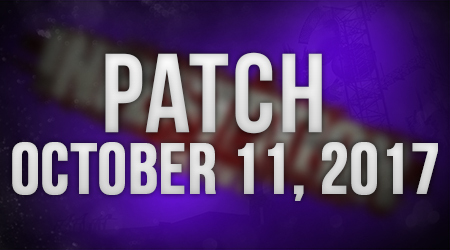 Servers are currently going down for the hotfix / small patch. Server downtime will be minimal. Servers are back online and patched! Enjoy! I don't add people to my personal Facebook sorry. Sneak/Zoom no longer works. If I am hitting the sneak button and zoom in, it starts making footsteps. I understand the need to fix zoom not making sounds, but if I am hitting sneak it should be silent. When you "sneak" and then zoom in, your character's animation state switches to "aiming" which now makes sound as we fixed that. If you just hit "sneak" without zooming in you will be silent. The issue before was you could aim without hitting sneak, and move faster than sneak while getting the benefits of no footsteps. I understand the intent of the change but you should be able to aim/sneak silently as long as you are hitting the sneak button. The movement speed of aim/sneak is the same as sneak. Why would aiming while at sneak speed cause footsteps in this case? You are moving the same speed as sneak.